Hey guys, Dan Thomas from Image Doctor and Improvemant.com and stay tuned to learn the signs of good quality dress shoes. Whilst there are some items of clothing that can be lower quality and still look good and potentially still last a decent amount of time, dress shoes are certainly not one of those items. Of all clothing items, I strongly suggest that you invest in quality shoes that are more expensive. This may seem expensive up front, but will actually save you money over the long term. I suggest all men buy at least one, ideally two pairs of expensive, great quality dress shoes that will last years as opposed to buying crappy, cheap pairs of shoes that need to be replaced every 6 months. Whilst you might balk at the thought of spending between two and three hundred dollars for a quality pair of dress shoes, if you purchase quality dress shoes and then take care of them using 3 strategies I will offer for you in this video, those shoes can last you 2, 5 or even 10 years with the right care. So when you consider the cost of buying say an eighty dollar pair of cheap shoes every six months, you will have already spent three hundred and twenty dollars in just two years. So what are quality shoes and how can you tell if you are just paying for a brand or if the shoes really are quality? You don’t want to assume that shoes are quality purely because they are expensive. Cost is definitely an indication, but you want to use the following check list to validate the cost of expensive dress shoes before buying them. 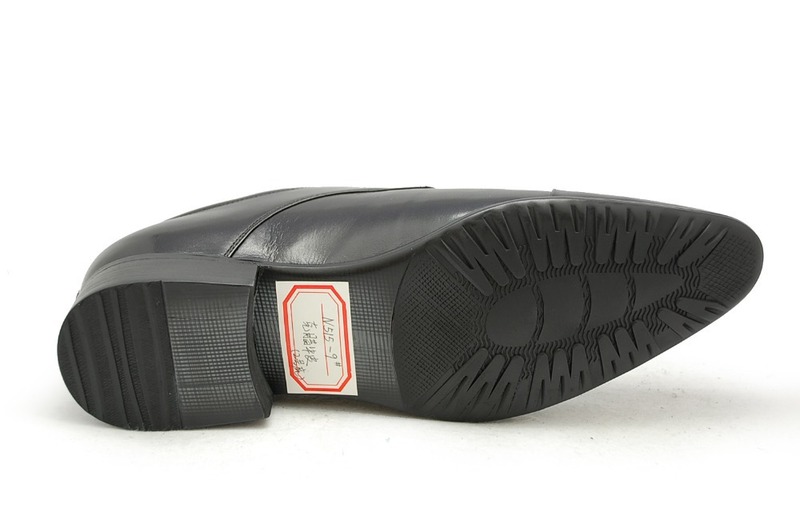 The first area to check when assessing the signs of good quality dress shoes are the material they are made from. The shoes should be made of real leather including a leather sole so ask the sales attendant or research the shoe online to work out exactly what it’s made from so that you avoid buying synthetic materials. The next area to check is the sole of the shoes. The soles of well-made shoes will be stitched, not glued to the sole of the shoe which is a very important area to check. So just turn the shoe upside down and take note of whether there is visible stitching underneath. The sole of quality made shoes should be relatively thick. A very thin sole is an advertisement of cheaply manufactured shoes which not only looks cut-rate, but will wear out considerably faster and cause you to have to buy a new pair. You want the sole to be at least a quarter-of-an-inch thick. Moving on from the sole, The stitching on the actual body of the shoes should be neat and barely noticeable. This is a sign of hand stitching as opposed to machine stitched shoes. The inside lining of the shoes is the next area to check. The lining of well made shoes will have high-quality calfskin or natural leather inside and not synthetic materials. Synthetic lining will do a bad job of absorbing odours and maintaining the shoes shape. So once you’ve ticked off the above points, you can then use the price of the shoes as another indication of quality craftsmanship. But you need to cross reference the above points with the price of the shoe to make sure that the price is justified and you’re not just paying for a brand. 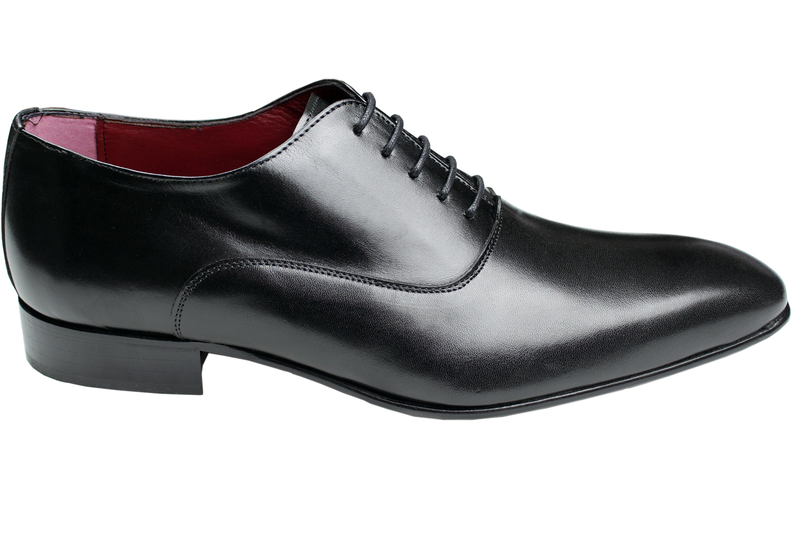 Dress shoes that are less than $100 will not be great quality and will likely last for less than twelve months. Dress shoes between $100 and $200 should be quite good quality and if you take care of them, the shoes should last at least 18 months, and could last many years. And very high quality shoes that can last for 5 plus years with the right care would likely be starting at $200 as a bare minimum, more realistically in the region of $300 plus. Once you have bought a quality pair of dress shoes, there are a number of things you can do to maintain their quality and prolong their wear. 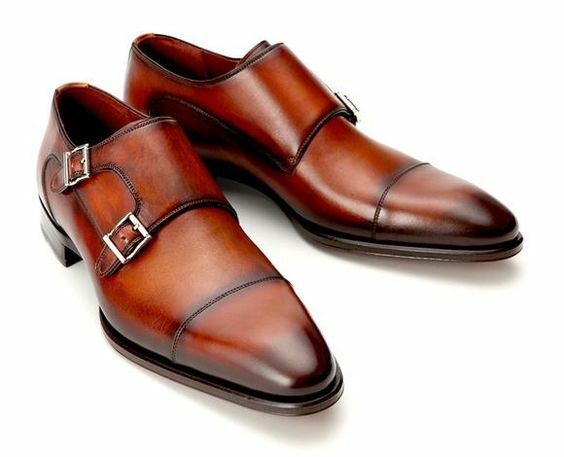 Tip number one is to buy a pair of cedar shoe trees for each pair of quality dress shoes you own. 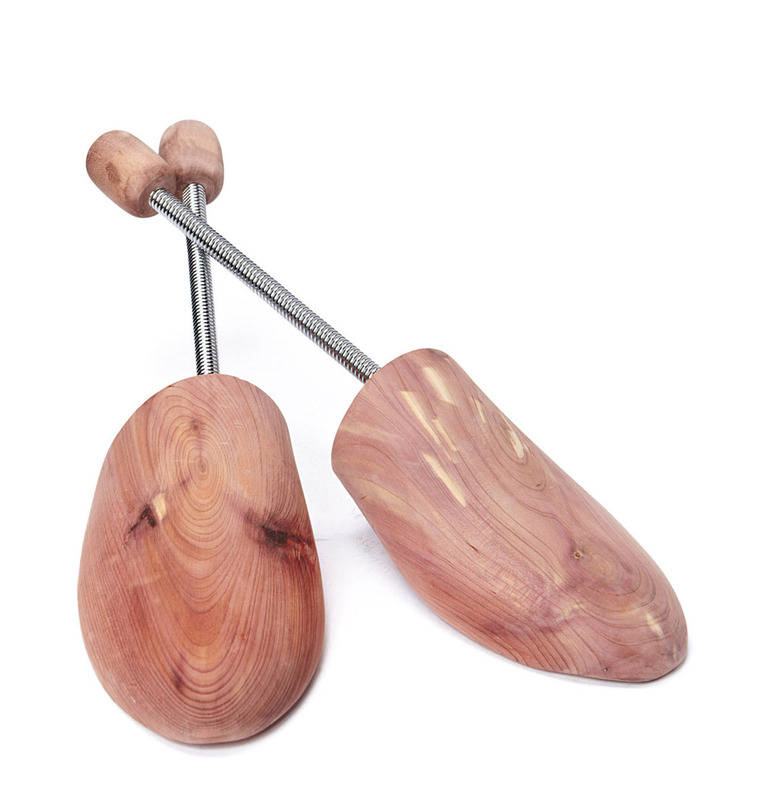 Cedar shoe trees are designed to be placed inside your shoes when you are not wearing them. By doing so, the shoes will maintain their natural shape, prevent creasing and cracks and absorb moisture and odours inside the shoe. Tip number two is to take your shoes to a cobbler or shoe repair shop before you wear them for the first time and have an additional leather sole placed on top of the current sole. The area of a shoe that wears down the most and causes you to have to buy a new pair is the sole. By having the cobbler place an additional sole on your new dress shoes before you start to wear them, the original sole will always be protected. And as the second sole wears down, you can replace it again with another fake sole which means the original sole is never worn down or damaged and your shoes can last many years if they are good quality shoes. Having the fake sole put on costs around fifty dollars which I look at as a smart investment which will save money in the long run. And the third tip is to make sure you own a shoe horn like this which you use every time you put your dress shoes on. The shoe horn is placed inside the heel of your shoe before you slip your foot inside which creates a seamless insertion of your foot, but more importantly will prevent wear and tear to the heel of the shoe. So if you are in the market for new dress shoes, I strongly suggest you consider purchasing a good quality pair using the check points I’ve provided above and then take care of them using the three tips I just mentioned above.